SCHIFF, Steven Harvey, a Representative from New Mexico; born in Chicago, Ill.; March 18, 1947; B.A., University of Illinois, Chicago, Ill., 1968; J.D., University of New Mexico Law School, Albuquerque, N. Mex., 1972; lawyer, private practice; New Mexico Air National Guard, 1969-1998; assistant district attorney, Bernalillo County, N. Mex., 1972-1977; assistant city attorney and counsel for the Albuquerque police department, 1979-1981; district attorney, Bernalillo County, N. 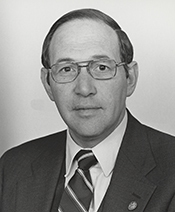 Mex., 1980-1988; elected as a Republican to the One Hundred First and to the four succeeding Congresses (January 3, 1989-March 25, 1998); died on March 25, 1998, in Albuquerque, N. Mex; interment in Fairview Cemetery, Albuquerque, N. Mex.